Summary of today’s show: Pope Francis has outlined a comprehensive vision for evangelization in his apostolic exhortation Evangelii Gaudium. Scot Landry and Fr. 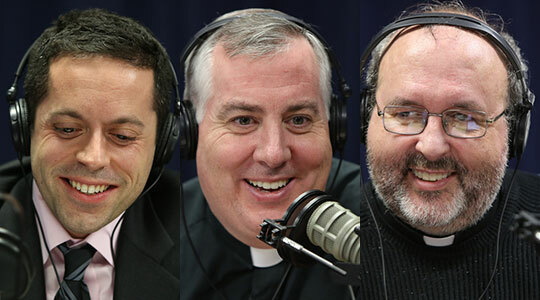 Mark O’Connell are joined by Fr. Paul Soper and Dan Cellucci to discuss one portion of that vision that deals with evangelization within the context of a parish, including how a parish can evangelize as a community, but also how individuals within that parish can walk together with others who are also on the journey of life.